This Halloween, don't spend your money on a pumpkin-carving kit that may or may not be easy to work with. 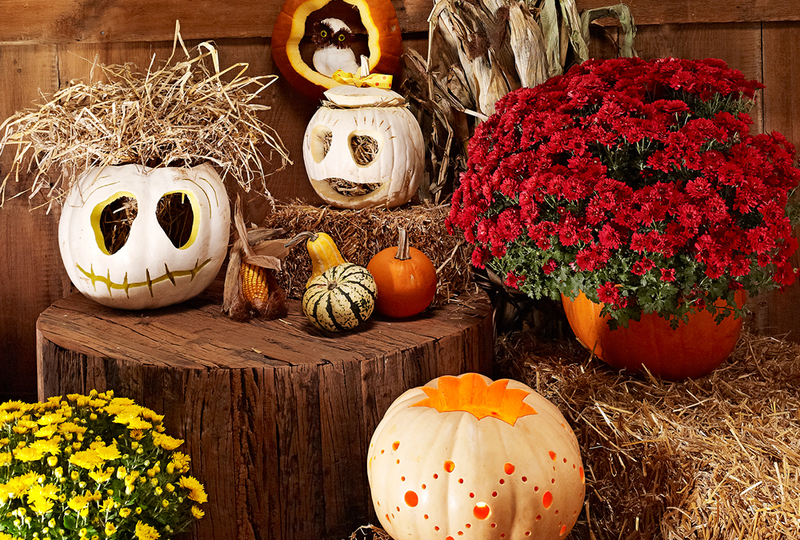 Instead, use the household tools you already have to make your pumpkin creations. Quicker Carving. A drywall saw, for instance, cuts through a pumpkin with ease (photo a). You'll find that this tool makes the carving process go much faster than the small knives that come with carving kits. Drilled Designs. Use a drill and a few drill bits to make a beautiful design on your pumpkin. Start by marking a dotted design on the pumpkin's skin. Then drill large holes with a spade bit (photo b) and smaller holes with a twist bit (photo c).